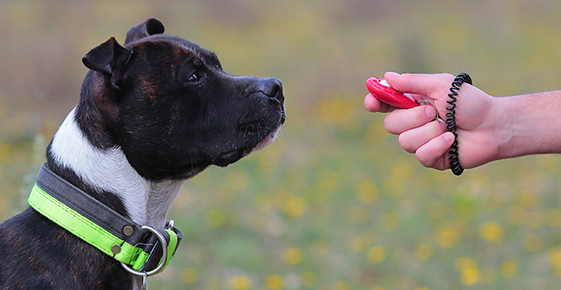 Obedience training helps prevent negative encounters between family members and the dog. It reinforces the bond between the handler(s) and pet. A MUST for every good family dog, regardless of size or breed! Puppies may start classes when they are as young as 8 weeks old. Obedience training is fun. It helps prevent negative encounters between family members and the dog. It reinforces the bond between the handler(s) and pet. Consult veterinarians, breeders, local training clubs, YMCAs, recreation centers, and newspaper columns on dogs or pets for details about classes, costs, and requirements. Begin as soon as the puppy arrives in your home. Young puppies should be taken out immediately upon waking and just before retiring, as well as multiple times during the day. Most puppies cannot "hold it" for long periods so it will be necessary to take the puppy out almost every hour at first (especially after periods of play, naps, and mealtimes), and then gradually increase the amount of time between visits to the "bathroom." Take the puppy to the same area each time and praise it immediately and enthusiastically when it eliminates. Do not play with, or talk to, the puppy until after it has eliminated. Remember, if the puppy doesn't eliminate outside, its urine and feces are being saved for deposit inside your house! A kitten will housebreak itself. Provide it with a clean litter box and make sure the kitten knows where it is located. Edges of boxes should not be too deep for a kitten to navigate and the box should be kept scrupulously clean. A good rule of thumb is that there should be one more litter boxes in the house than the number of cats residing there, and the boxes should be kept in different locations affording some privacy. Choice of litter (eg, clay, sand, recyclable paper) is up to the kitten owner, although some cats appear to have substrate preferences. Many veterinarians recommend staying away from litters with deodorant and baking soda additives as they can irritate your cat's respiratory tract. If your kitten (or cat) isn't using the litter box reliably, it could be because of dirty litter, illness, litter preference, or psychological stress.